If you’re in the mood for a movie and popcorn, look no further! Go to any of the three squares to find a modern, multi-screen theater. 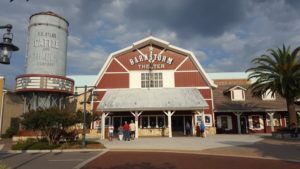 The Rialto Theatre located in Spanish Springs, the Barnstorm Theater in Brownwood, or the Old Mill Playhouse on Market Square in Old Sumter Landing all will fulfill your movie watching needs. If you need to know what’s playing tonight, then you can find all the showtimes here.